Orlando, FL. 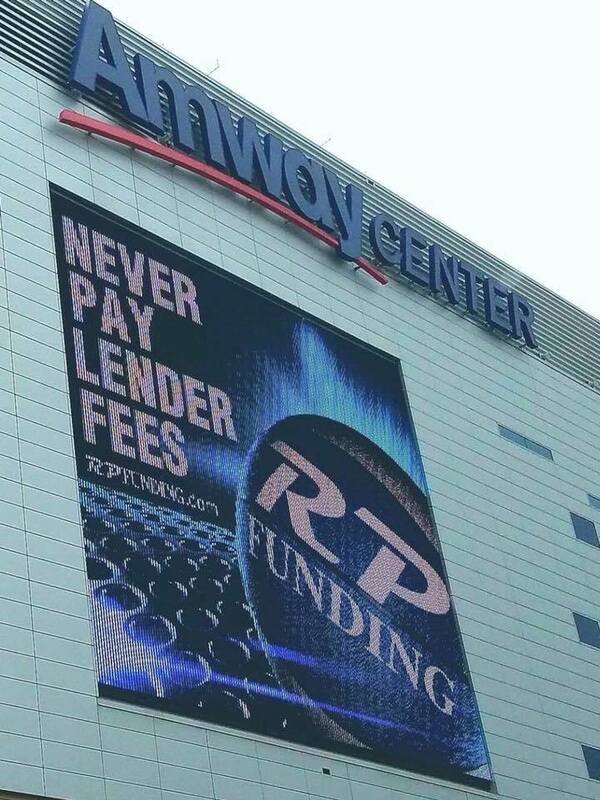 October 27, 2017 - With the announcement of their Champions of the Community (COTC) partnership, RP Funding has become the official mortgage lending partner of the Orlando Magic and Amway Center. "It's been a seven-year dream finally coming together," said an elated Robert Palmer, founder and CEO of RP Funding. "It's fantastic!" The partnership between RP Funding, the Magic, and Amway Center will include continued support of the Central Florida community. "The Orlando Magic are thrilled to have RP Funding join our family," said Magic CEO Alex Martins. "This partnership includes...our commitment to the community both in Orlando and Lakeland. We look forward to collaborating on new opportunities for local outreach." As Champions of the Community, RP Funding joins an elite tier of brands that are committed to the Central Florida community. In addition to the Orlando Magic, COTC partners include Walt Disney World, Florida Hospital, PepsiCo., Harris, and FanDuel. Extending beyond the walls of the Amway Center, these partnerships encompass what it truly means to be a champion in the community by supporting programming that makes a direct impact on the lives of those that call Orlando home. The COTC partnership will enhance RP Funding's presence at Amway Center with branding underneath the center-hung videoboard as well as on the pole pads and additional signage around the court. "We are excited to expand our relationship with the Orlando Magic to include the COTC partnership and other initiatives," said Robert Palmer, founder and CEO of Robert Palmer Companies. "Our business has expanded significantly in Central Florida and we attribute that growth in part to our involvement in sports ownership and sponsorship including my purchase of the NASL's Jacksonville Armada and this sponsorship with the Orlando Magic and Lakeland Magic." In 2017, the Orlando Magic's G League affiliate, Lakeland Magic, announced RP Funding as the team's inaugural Founding Partner and the naming rights partner of the RP Funding Center in Lakeland. In addition, RP Funding became one of the four inaugural cornerstone partners of the Magic's G League team. "Lakeland was really the tip of the spear and the opportunity there to help do that for my hometown and help support the building I graduated high school in," Palmer added. "But this is the big brand. This is the big part of their operation, so it just made sense for us to extend the partnership over here. 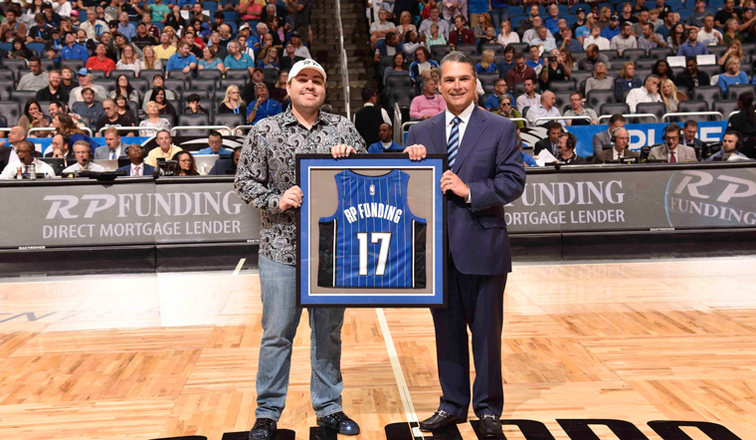 I'm proud to be the official mortgage lender of the Magic." RP Funding celebrates 10 years of offering consumers the best deals in direct mortgage lending. CEO of RP Funding, Robert Palmer was the recipient of the 2017 Entrepreneurial Vanguard Award from Junior Achievement of Central Florida. 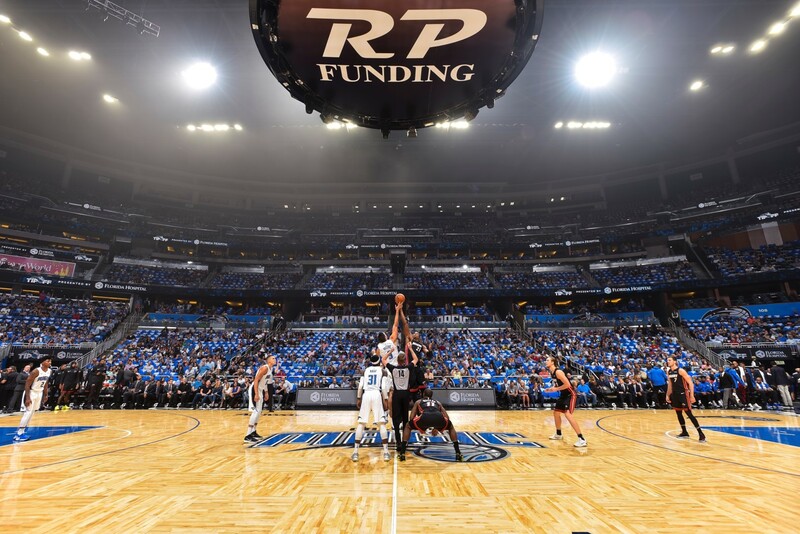 RP Funding partners with the Orlando Magic and Amway Center as Champions of the Community. RP Funding continues their long-running sponsorship of K92.3 FM's All Star Jam benefiting Ronald McDonald House Charities. Ranking on the 2017 Inc. 5000 list, RP Funding is consistently recognized as one of the fastest-growing businesses in the nation.